The ‘Novi Sad 2021’ Foundation launched the ‘Heritage Walks’ open call within the second phase of the project of the same name, which invites citizens and encourages their interpretation of heritage through creatively designed ‘Walks’. Тhe open call will support 15 projects (10 from Novi Sad, 5 from the Zone 021) that meet conditions and cover the topic of the public call through walk, performance, theatre play, exhibition, photography, event in their own spaces and other similar forms. 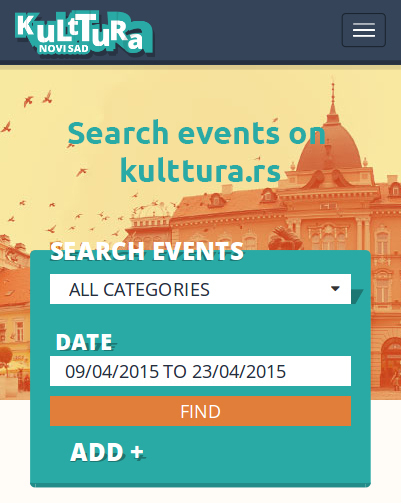 increasing sensitivity when it comes to cultural diversity that is present in the city of Novi Sad and Zone 021. During the assessment of project proposals, the selection jury will assess the originality of the project, personal approach in creation of the walk, creativity in interpretation, presentation of ‘invisible’ history of the city, i.e. stories that are not present in the official narratives. Initiators can be all interested natural persons, who would like to tell their story in accordance with defined requirements of the call. Only legal persons that are registered in the Serbian Business Registers Agency and have the status of Association, i.e. local Associations of natural persons can participate in the open call as applicants. The deadline for submitting applications and accompanying documentation is 21 February 2019. More information about the public call and necessary documentation can be found on the official website of the ‘Novi Sad 2021’ Foundation.